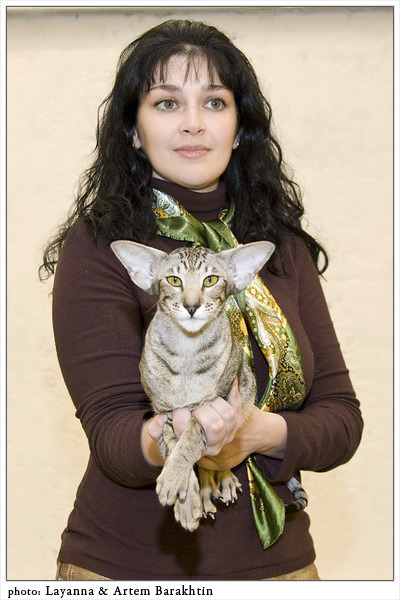 Breeding nursery North Star is engaged in breeds of cats ORIENTAL SHORTHAIR, SIAMESE, and the PETERSBURG SPHINX (PETERBALD). 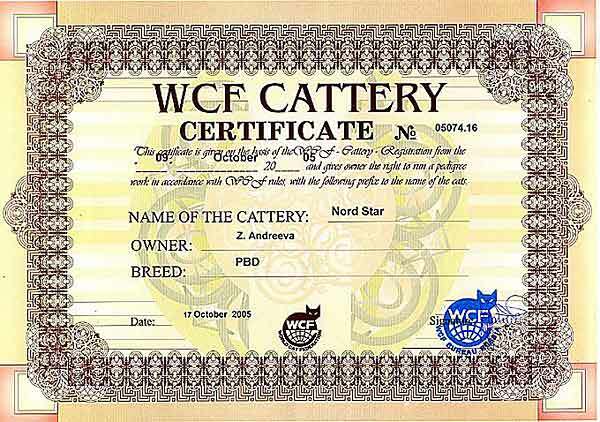 The cattery name "North Star" (Nord Star) was registered in the World Cat Federation in 2005. The primary goal of nursery - systematic and consecutive breeding work which purpose - reception of healthy, elegant, harmonious animals of modern type close to extreme. To Natasha Еmashova and Natasha Korobova - nursery of the Petersburg sphinxes " from the PLANET SUSLOV" from Samara city. The nursery in the activity conforms to the rules also to the positions operating in system WCF. Nursery North Star regularly participates in the exhibitions, many manufacturers of nursery have nominations, honourable awards and titles. Exhibition career is necessary, because only with results of work of other nurseries it is possible to "grow" in competitive comparison as the factory owner and really to estimate the level and the achievements. 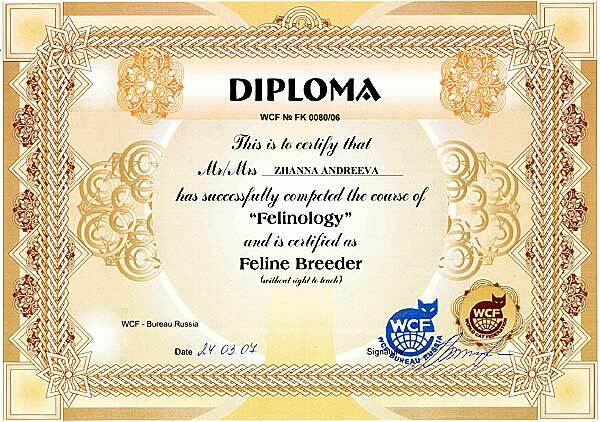 I communicate with other Russian factory owners of east cats much, I consult, I adopt experience of breeding work. 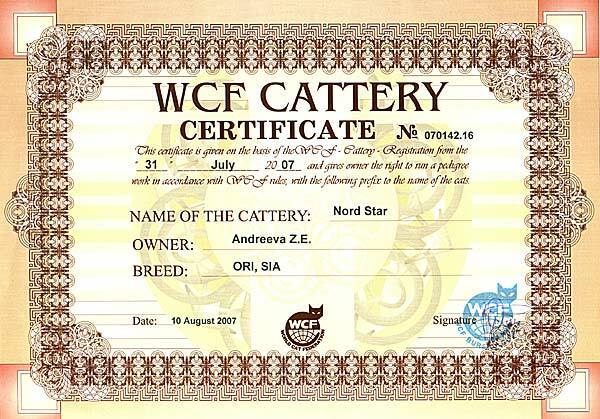 Manufacturers of nursery North Star are healthy and strong cats with good immunity. Nursery are observed by the qualified veterinary surgeon, all animals are in due time vaccinated, tested for presence of the latent infections and pathologies. 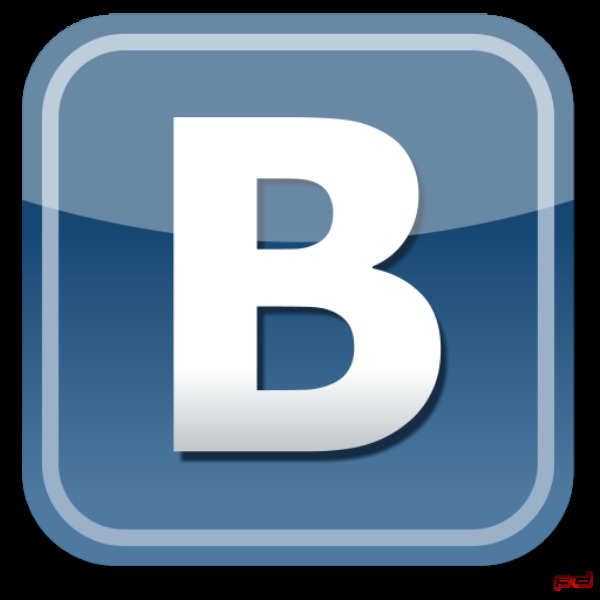 Also very much the great value for health of cats has appropriate leaving and feeding. Animals of nursery North Star eat only qualitative natural products and industrial forages supreme a class. Nursery North Star does not contain the cats in cages. Kittens from first days are in contact to the person, it is very important for their further social adaptation that they have grown sociable, well brought up, tender, without problems with mentality and behaviour. The small amount of cats in my nursery allows to create for them and their posterity worthy conditions for a life. A lot of attention is given to cats, they are surrounded by care. Each cat is the person, all my cats are full members of my family and consequently deserve understanding and love. These surprisingly harmonious, self-sufficient, loving and devoted beings bring pleasure, heat, caress and a cosiness in my house. Presence of necessary quantity of money resources is not the main condition for reception of a kitten from nursery North Star. I very responsibly and attentively choose the future owners for the graduates. The majority of kittens of my nursery are on sale not for cultivation, as house favourites. The kitten can be sold in cultivation only at my full confidence that the buyer has enough knowledge and experience and its principles of breeding work, and also conditions of the maintenance and care of cats coincide with mine. Doing purchase in nursery North Star you have a kitten completely corresponding to breed, well-groomed, healthy and brought up. And also can always count on my professional consultation of the factory owner on all questions, concerning your kitten.